Ball Pythons were originally named and are still referred to in most of the world as “Royal Pythons”, an appropriate title derived from the translation of the Latin name (regius = royal) and owing to the regal African appearance of their naturally occurring colors and patterns. Ball Pythons have attained “royal” status in the herpetoculture industry as a result of a multitude of base co-dominant and recessive gene traits with a spectacular array of colors and patterns. The combination of these genetic traits and the Ball Python’s inherent gentle nature, favorable size, and dominant commercial demand has elevated these color and pattern morphs into a class by themselves for python breeding. 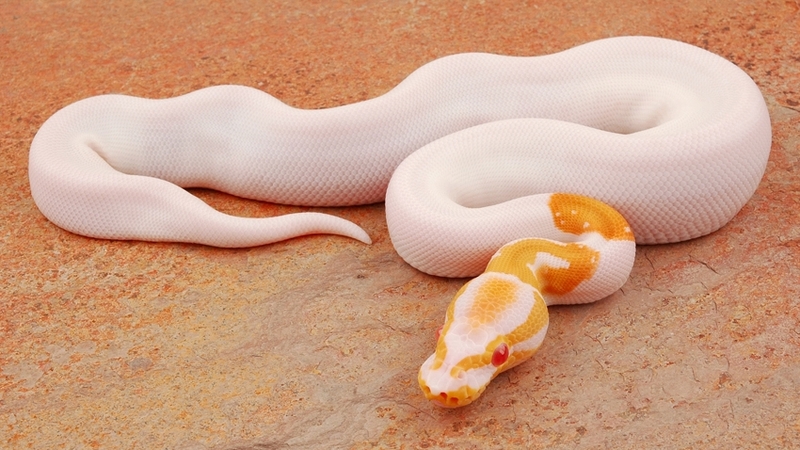 We began working with Albino Ball Pythons in 1993 and Piebald Ball Pythons in 1997. 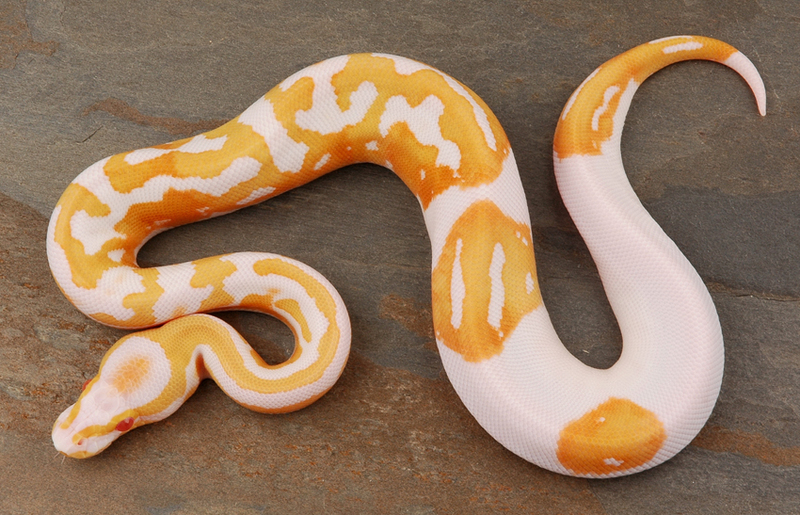 The albinos in our colony display a beautiful yellow or yellow-orange pattern in high contrast to interwoven bright white interspaces. Our Piebald Ball Pythons range from low to 90% white, with some unusual patterns such as the "Happy Face" occasionally being produced. 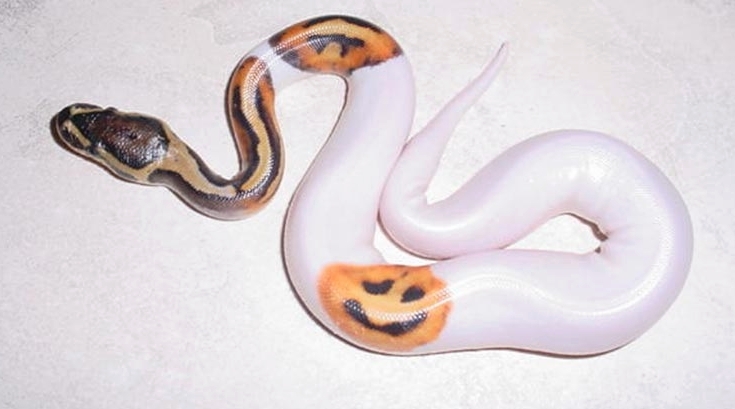 The Piebald Ball Python trait could be considered the most popular of all Ball Python color and pattern morphs. 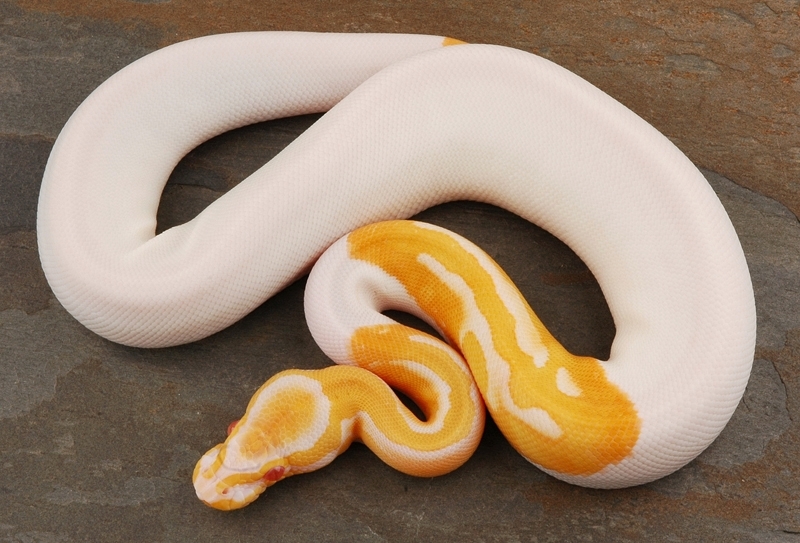 The combining of Albino and Piebald recessive genes, with the endless variation of pattern outcomes influence by the Piebald trait, provides tremendous long-tern commercial breeding possibilities for Albino Piebald Ball Pythons.